Social media is a crucial area that marketers should be careful to pay attention to. At the same time, you should always be protecting your business on social media. With the right social media tools and tactics, you’ll be well on your way towards connecting with your target market and improving your sales. After all, no matter what industry you’re in, people of all demographics are spending an increasingly high amount of time on social media channels. You’ll also need to hone in on your social strategy if you plan to compete; 91% of retailers, for example, have at least two active social media channels. Botletter is a tool that allows you to create drip campaigns specifically for Facebook Messenger. It’s considered the “Mailchimp for Messenger,” but unlike traditional email marketing campaigns, those delivered through Messenger have far better numbers. The average email open rates for a traditional campaign hovers around the 20% range; Botletter’s open rate, however, is around 80%. Furthermore, clickthrough rates tend to be anywhere between 4 to 10 times higher than email clickthrough rates. Use this tool to help engage your audiences, and push content that would have otherwise gone unread. Messenger chat bots are becoming a more common practice for brands who want to communicate with current and potential customers. However, because it’s still relatively new, if you start to adopt it now, you’ll have what’s known in the marketing world as first mover’s advantage. And it’s because of this that CTR and conversions are much higher than normal; consumers aren’t yet blind to this direct type of social messaging. They always check their Messenger messages, and there are no blockers to prevent you from engaging in this streamlined type of communication. Although we mentioned setting up an email drop campaign through Messenger, email marketing is still a critical part of an overall marketing strategy. Still, capturing leads can be complicated. Perhaps you’ve found the right WordPress hosting plan and added lead capture plugins to leverage your visitors and are still finding subscriber rates fairly low. The fact is, there are some messaging opportunities that are best delivered through email, which is technically still the preferred method of communication for consumers with brands. With this in mind, you can still use Messenger as a method for attracting subscribers. Set up a newsletter opt-in form via Messenger, and you’ll likely find that opt-in numbers will skyrocket compared to your lead capture pages. If you’re hosting an event—with it’s a large fee-based conference or small, free meetup—you can use Messenger to communicate important updates and relevant news regarding your event. This doesn’t have to be a physical event, either. You can communicate with your market about things like webinars or sales that correspond with events. You can even take a step further by making it easy for people to sign up for the event directly through Facebook Messenger. Then, you can send them a reminder with links to add that event to your calendar app. Over the course of the event, you can updates, refreshers, supporting materials, and much more. If you don’t already know, re-targeting is the process of attempting to attract consumers who have already demonstrated interest in your brand. Re-targeting your messenger leads is significantly easier and better than re-targeting email leads. Why? Because your customers are already on Facebook. For example, maybe a potential customer looked at a product but didn’t make a purchase. 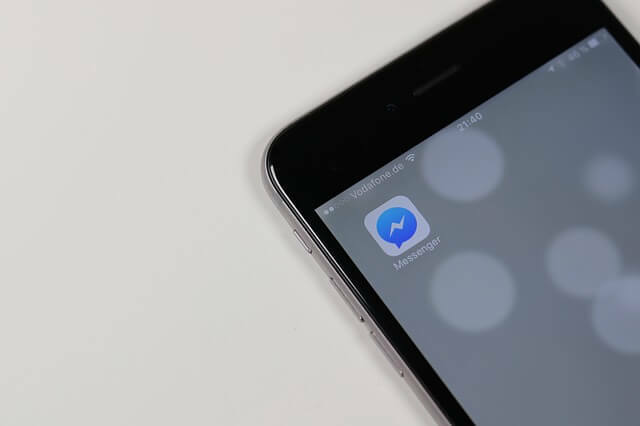 You could then set up a retargeting ad to connect with those customers who have already engaged with you on Messenger in the past.